This piece explores a range of issues faced by canal users in recent years. I set up home in 2003 when my partner and I bought our first narrow boat Chimwemwe. We lived in Lowtown and enjoyed the lifestyle on board so much, we bought a wide-beam barge, Rigmarole, in 2005. We moved ashore in 2007 and soon after got married and started a family. Fortunately, my two little boys are just as mad about the boat as we are and we enjoy cruising all over Ireland on the inland waterways. In this piece, I will be talking about issues that I have witnessed myself as well as first-hand accounts that have been related to me by others. I would like to point out at this stage that what follows is my personal opinion and is in no way claimed to be representative of views that may be held by any Irish boating organisations where I am a member. Lack of regulation and enforcement of bye-laws has always been a contributing factor to the issues experienced by users of the canals and River Barrow. 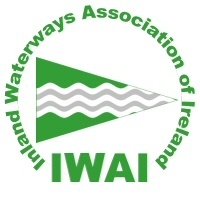 In the current times as Waterways Ireland (WI) attempts to ‘throw down the gauntlet’ and assert some kind of control over the navigations, a deepening of these issues is inevitable. At the moment, Waterways Ireland’s reputational risk among the boaters on the canals has been realised but can this risk now be mitigated? During my time as a liveaboard in Lowtown, many boaters availed of the precious electricity supply, regardless of distance from their vessel to the power points. This resulted in long leads being run down the towpaths. When the clampdown started on this sort of thing by WI in 2006, a warning was shot across the bows and soon after the electricity was removed. In some cases, this action resulted in vulnerable people being left without shore power. People felt that this situation could have been handled better by WI. On the other hand, everybody knew that, underneath it all, this situation represented a serious health and safety violation. This for me was the first indication that WI was putting controls in place to minimise their exposure to risk. This is where we as a boating community started to engage with WI on the issues, mostly through the Property and Legal section. The frustration of going back and forth with emails and letters with no clear answers forthcoming from WI was disheartening. Furthermore, the action led to the desolation and abandonment of Lowtown. This is when we started to open our eyes to the lack of willingness from WI to engage with the boating community. Legal proceedings began shortly afterwards, and we got very little information after that. It was after I had given up the liveaboard lifestyle, although still using the boat regularly, that I noticed that far fewer of the usual gang were travelling by boat to attend social gatherings along the waterways. I subsequently found out that the commonly accepted gentlemen’s agreement that many liveaboards have in relation to their spots had been broken. A boater returning from a rally had their spot taken. This kind of behaviour added to the already problematic lack of movement of some boats that has raised debate before. People were afraid to move! Also for those of us who like to move around the system there seemed to be no options: we didn’t really need an EMP, as we would be in many different locations over the season and one location in the winter. Then the ‘stickering’ started in selected areas on the canal for those in breach of the five-day rule. In one instance boats were being stickered for the breach in Lowtown, while less than a mile down the road in Robertstown boats that hadn’t moved for years were not stickered. Furthermore, boats that wanted to move on the Royal were encountering their own problems in relation to low water levels, canal closures and the difficulties lifting Newcomen Bridge. Of course, a barrage of correspondence ensued from boaters with WI on all these issues only to be met with what was becoming the standard with WI: more emails and unclear answers. It’s hard to explain this frustration but what it feels like is someone just shrugging his or her shoulders at you and saying, “I don’t know”. Not a good way to treat your customer base in these times of expected transparency and professional standards in public service. I think on the whole, liveaboards in general would welcome regulation on mooring as long as the terms and conditions are not too harsh and the price is right. I think the terms and conditions, currently on offer, are too stringent; they could be improved by consulting with customers. For example, during the planning process on the proposal to build jetties in Sallins Harbour submissions were made to Kildare County Council in August 2012 asking that Sallins should not go down the same road as the jetties in Shannon Harbour and Grand Canal Dock, which were lying empty at the time. Following the submissions, WI did consult with the boating community and ‘a deal was struck’. This shows how a positive approach and engagement can make a real difference to our waterways and the communities on and around them. … The only way forward is for WI to engage with the communities both on and around the waterways.